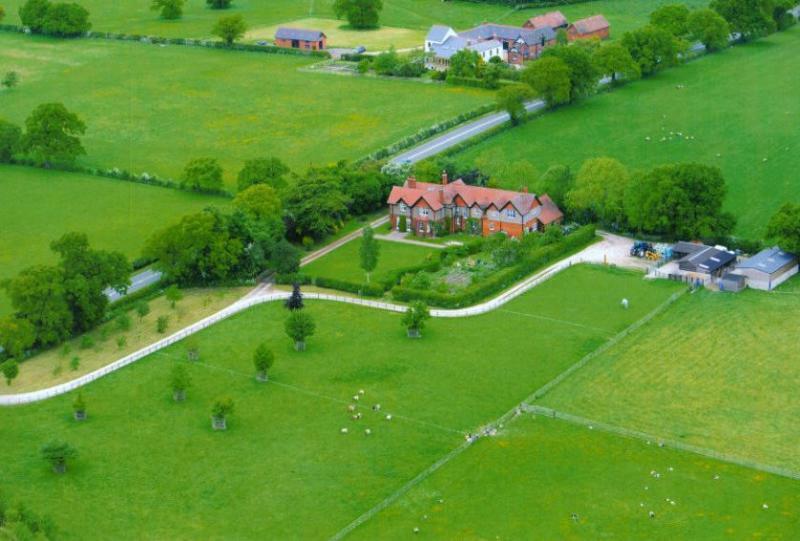 We currently farm about 70 acres, some of which you see in the aerial photograph above. We try to farm to organic principles as far as possible, we do not use nitrogen fertliliser on the grass and spot spray for weeds to minimise the amount of chemicals used on the land. Much of our land is in Higher Level Stewardship Agreements aimed at restoring traditional hay meadows. We aim to breed top quality pedigree Jacob sheep with good conformation, true to the breed standard. We believe in high standards of welfare and aim to keep our sheep fit and healthy with a good quality of life. Farming is our hobby and our passion. Here's what we do with the rest of our time! Own plant includes mini-digger, pan concrete mixer, dump trucks and skid steer loader. I am a keen horsewoman and compete in dressage and show jumping. I work for Rural Action Derbyshire, for a project which helps tackle poverty and isolation. I am a school governor for the Forest Federation which comprises All Saints Rangemore and Needwood primary schools. We have two Jack Russell terriers, Penny and Molly, two horses, Monte and Nero, and a variety of bantams who occasionally lay the odd egg or two!